Anorak News | Brexit poll: 88% of young voters want Britain to quit the EU? 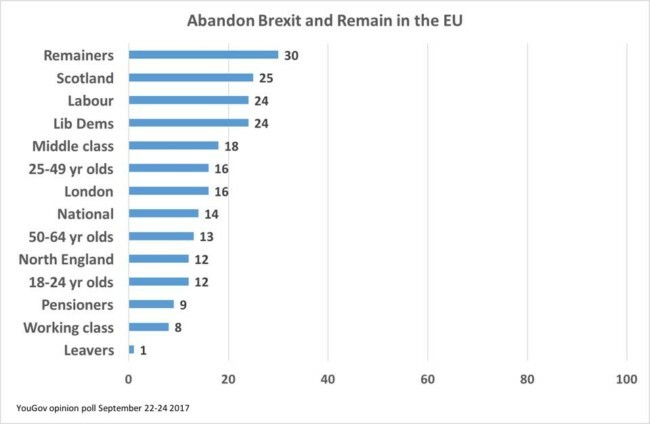 The stand-out figure is the 12% of 18- to 24-year-olds who think the country should press on and quit the European Union. That figure is topped by the 92% of the working class who want Brexit. 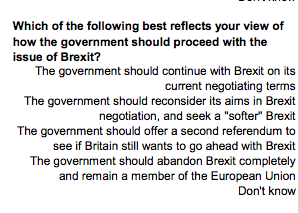 Jeebus – 70% of Remainers want the country to get on with it. So let’s not stop Brexit. Let’s not heed the demands of Labour MPs who demand a second referendum and think us all duped for voting for Brexit in the first place. They don’t want democracy; they want to stymie it.